August 2017 – it's Freaking GINA! Young. Weird. Awkward. And a cold-coffee-oriented type of gal. It’s been four years since you passed away. This is the third time you missed your birthday celebration here on earth and it’s also the third time you celebrated your birthday with the love of your life- lola mommy. I hope you’re enjoying your wine as you read this message I made for you and only you. As I said a thousand times, we never really had that “talk”, I only remember those days when you give us money because you want to hang out with us and eat ice cream. I remember every morning after your bath, you always stand in front of the bookshelf holding a pen or pencil and choose another book to read. A day never gets by without you reading. I always told myself “Hindi ba napapagod utak neto kakabasa?” because I am always astonished because at a very old age, you still managed to read things with great understanding. I know, because I often scan the book you’re done with (chismosa apo nyo. Pasensya na), check what’s interesting about the book you choose and wonder WHY did you pick it in the first place. Lagi mo nga sinusulatan ung mga libro with your little side notes at each page, highlights/ underlined phrases na important and words, relevant words that you’ve written EVERWHERE and I was like “Grabe ang adik naman mag aral neto!” I often wondered what’s going on with that little head of yours. I am always curious about your thoughts. I’m pretty sure that everyone who has a lawyer for a granddad would be very curious and astonished as I am. Your stroke and disability had been a pain in the arse especially in terms of communication. It would be a major perk if I can speak Ilocano because I know that it’s your mother tongue and it would be easier for you to communicate with. Kung alam mo lang, lolo Dad kung gaano ako ka-eager to learn Ilocano when I was still a kid…Well, until now naman e. The thing is, pinangunahan ako lagi ng hiya ko and how I wish I could turn back the clock and take that leap of faith to get to know you more and your soul. Sobrang nag regret ako na minsan naiinggit ako sa mga friends or strangers na kasama or close sila ng mga lolo and lola (dont be jealous lola mommy, may message ka rin sakin sa bday mo!) nila. “Bakit kaya ‘di ko kinuha nung chance nuon pa man e?” How I wish I could say these things to you personally. Every time when someone shares stories about you, I feel very inspired. I want to be like you- reckless, brave, smart, soulful, loving and etcetera. You dont even know how flattered I am every time my mom told me na kasing galing daw kita. I’m sorry if hanggang dito lang ako, Dad. Promise, I dont know what happened. Now, everytime sinasabi ni nanay na kasing galing daw kita, nasasaktan ako. Kasi feeling ko di mo deserve na magkaroon ng apo na kagaya ko. I’m sorry if I somehow let you down. I really wanted to follow your foot steps and maging lawyer (lol. masmalabo pa un sa sa mata ko) soooo bad that it became very frustrating and unhealthy for my mental health. Im sorry hanggang dito lang ako, lolo Daddy. I can’t get through this message without me sobbing so hard. So maybe, I’ll just end it here. Hahahaha! Mahirap na, baka magising ang anak nyong si Midette. Looking forward to share laughs, beer, food, stories, thoughts and anything that can be shared under the sun with you, Attorney! I’ll get those moments someday. Kita kits tayo sa Mansion nyo ni Lola Mommy, somewhere beyond the blue someday . 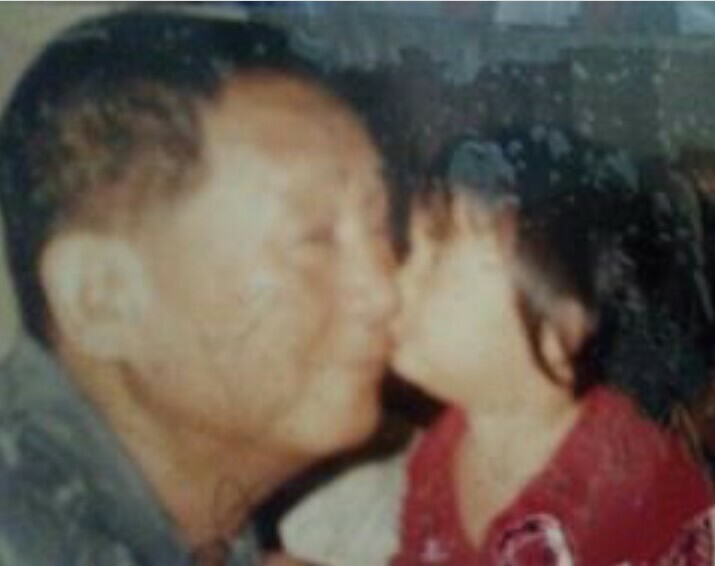 Happy birthday, lolo Daddy! Naragsakak sica lolo ko, manong! Hehe Pan-ak idjay puntod nyo mamaya. IamLittleGrey is just a pseudonym for Georgina. Due to her love on the TV series, Grey's Anatomy, Georgina got inspired to share thoughts like Meredith Grey. 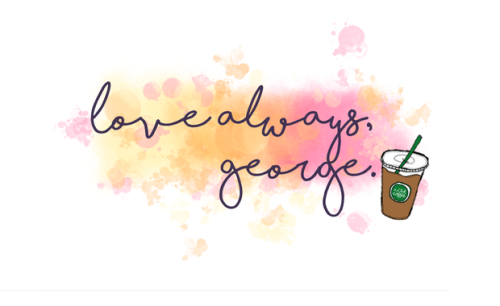 So instead of using her old tumblr username (yourdearlittlefriend) Georgina started making a new one. Hence, Mark Sloan's (Georgina's Fave character) endearment to Lexie Grey.